-Best to prep with a deck cleaner if you do not have an old stain, the wood is heavily grayed, wood is new, or you plan on applying a maintenance coat of deck stain. 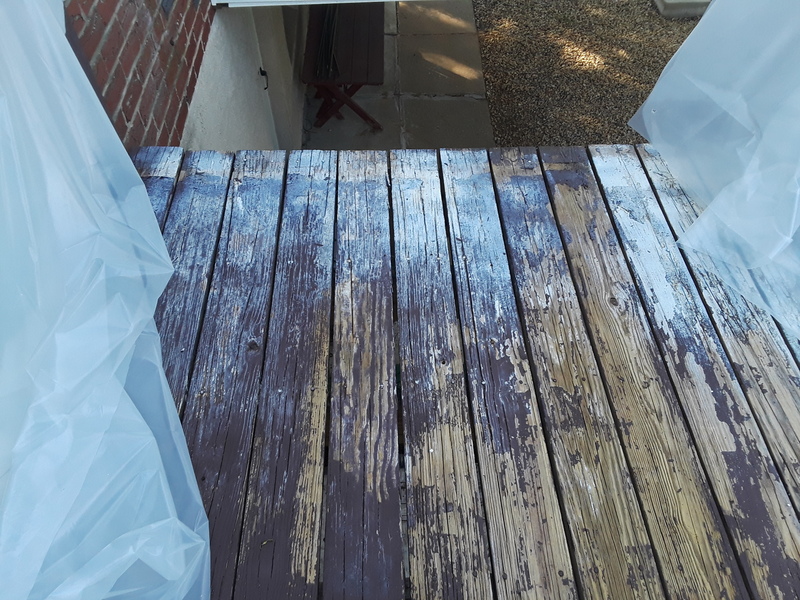 -Use a deck stain stripper if you need to remove an old stain that has failed unevenly, was over applied, or you are planning on switching stain brands. This will allow the new stain to properly absorb into the wood grain. 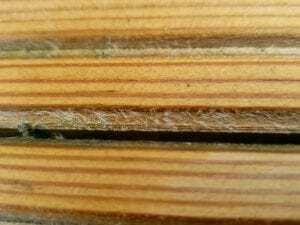 One of the negative effects of using a Deck Cleaner or Deck Stripper is it is possible to get “wood fuzzies” or “wood furring” when finished. 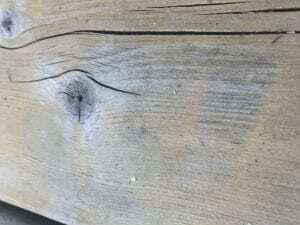 This looks like very small raised wood grain fibers or hair on the decking boards. 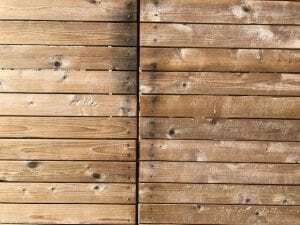 When you are prepping a deck you essentially remove a layer of oxidized or damaged wood cells. The more you remove, the greater the chance of making the wood look “fuzzy” or “soft”. -When the wood is left to gray (oxidize) from the UV you will need to remove all of the damaged wood cells. The grayer the wood, the more you will need to remove from the surface and the greater the chance of getting the “fuzzies”. -Only use as strong of a concentration of the cleaner or stripper as needed. 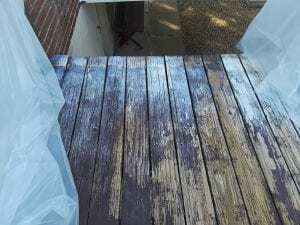 -Minimize the wood fuzzies from showing by using a wood brightener as soon as you are done with the deck cleaner or deck stain stripper and while the wood is still wet. This will neutralize the cleaner, leaving the wood in a neutral state. 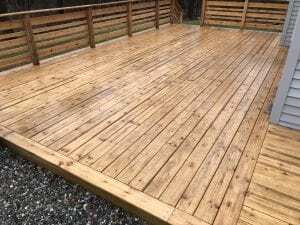 -Make sure that when you are done with the prepping that you rinse the wood extremely well to remove all excess wood pulp from the decking during the washing. -After the wood has dried, you can remove the fuzzies by lightly sanding or buffing the wood. As contractors, we like to use sanding buffing pads. They are not aggressive and will smooth the wood without over sanding. You can use these buffing pads on floor buffing machines that can be rented from your local rental yard. We can remove the wood fuzzies from a 500 sq. foot deck in 10 minutes with a floor buffer. Use a smaller pad and handheld buffer for the railings if needed. Taking care to minimize and remove the wood fuzzies from your deck will result in a longer lasting and better-looking application with a deck stain. 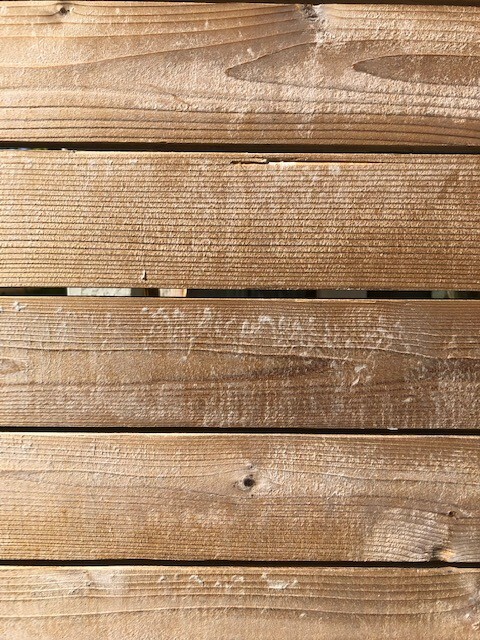 Our 3-year-old cedar fence, stained in Thompson’s clear water seal, has weathered terribly due to the Southern California sun. It was pressured washed recently but now shows spots where the stain was removed, other spots not. Additionally, fuzzies are apparent, even with sanding. What is your recommendation at this point? We plan to now use Defy in their water base product after we resolve the issues. Pictures show after pressure wash and sanding. Thank you. You will need to sand off the fuzzies. Not really any other way to remove them. 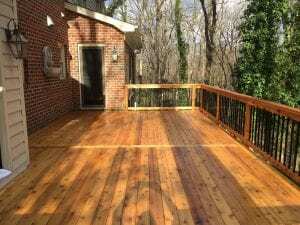 Have a cedar deck that is a year old. It is spotty with black mold on every board and also has some dark strips of mold on some boards (appears to be on boards slightly cracked). Have tried bleach and doesn’t make a difference and I also have fuzzies. Not sure if best way to handle all the issues. I also had an old oil based stain that was stripped and there are light spots of that stain remaining on railings (vertical surfaces). I am thinking of starting there with a stripper and then a cleaner for everything and then finally an oxalic acid brightener. Is that best way to proceed? Can these steps be done on a damp/lightly raining day? Board detail below. Spotting and more serious stubborn strips of black. Entire deck for reference and railings with just touch of stain remaining (same stain that was previously on deck boards). Your steps are correct. Strip the spots first, clean all after, then a wood brightener. Have tried to post pictures, but they are not going through. I just had my covered porch pressure washed in preparation for staining. The man who did this used a large round device on the end of the pressure washer. 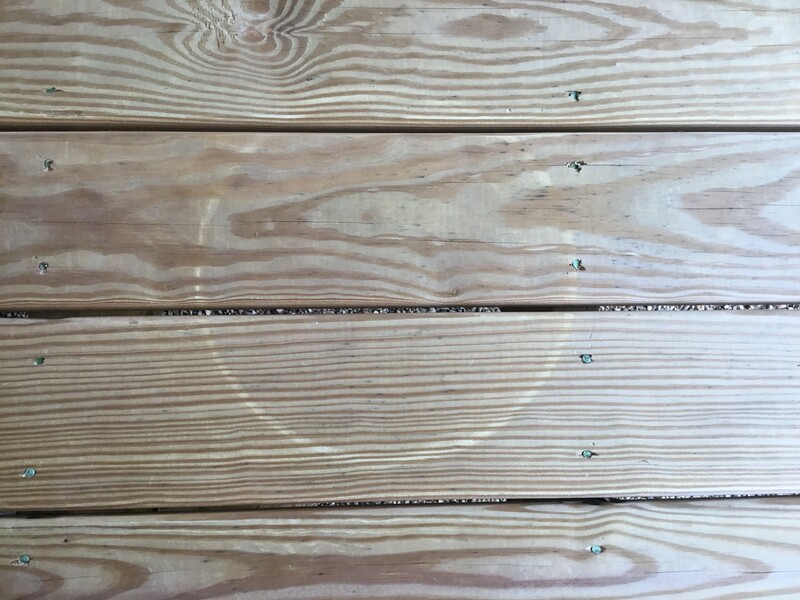 After it dried you can see circles on my deck. Will these show thru after I stain it? Is there any way to remove them before staining? It will show when using a semi-transparent stain. Looks like a ring from a 5-gallon pail. He used a round device on the end of the pressure washer so it would be faster I suppose. There are several of these on my porch which is 15×57. What type of stain should I use? the fuzzies. And while we were washing, they were so bad that they actually rolled up into balls and were sticking to the side of the house and brick. So we had to rinse it over and over again. We applied semi-transparent stain and now a few days later I can scratch the stain off with my finger nail. Do you think because of the heavy fuzzies, the stain did not penetrate like it should? The stain will still penetrate. It will just not look that good if you have a lot of the fuzzies left on the wood. 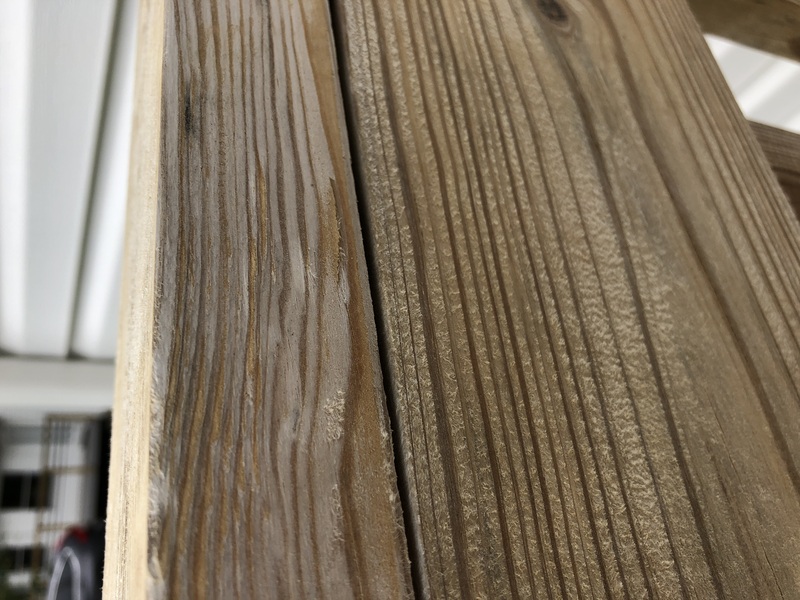 Just had a new deck built with pressure treated wood, was ready to get it prepared to stain since spring is around the corner but I have sanded rough edges and where screws were placed. I will give it another month or 2 after sanding to weather and then prep with cleaner and brightener. I noticed quite a few cracks and knot holes and was wondering if there is a filler to keep them from getting worse? Would like to use a lighter stain but didn’t know if there was a clear sealer for the cracks and holes that could be covered by stain? Thanks! 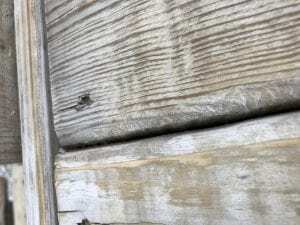 No, a wood filler will not work on exterior wood. Leave it alone as this is normal to have the cracks. 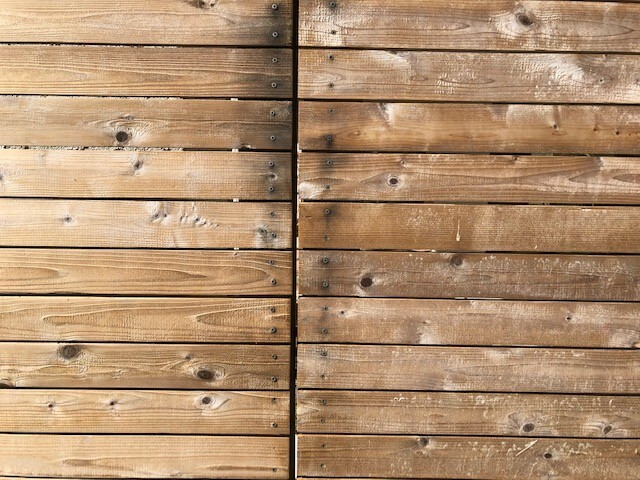 My cedar siding was just cleaned by a contractor who either used too much chlorine bleach (80-100 gallons on my end townhouse) or too much pressure from his truck-mounted pressure washer or both. So much furring (fuzzies) has occurred that is is clumped on the siding and and clumps have fallen onto the screens of my windows and onto my decks. How can this be SAFELY removed before staining. 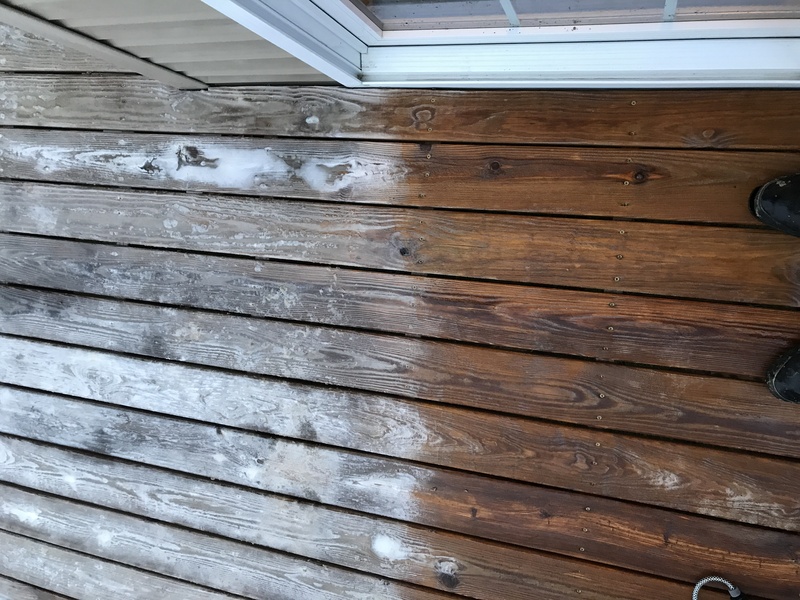 I live in Northern VA and staining needs to occur soon because the weather will soon be too cold. Rinse with water the fuzzies that have accumulated on the screens and windows. For fuzzies on the wood, you will need to sand to remove. 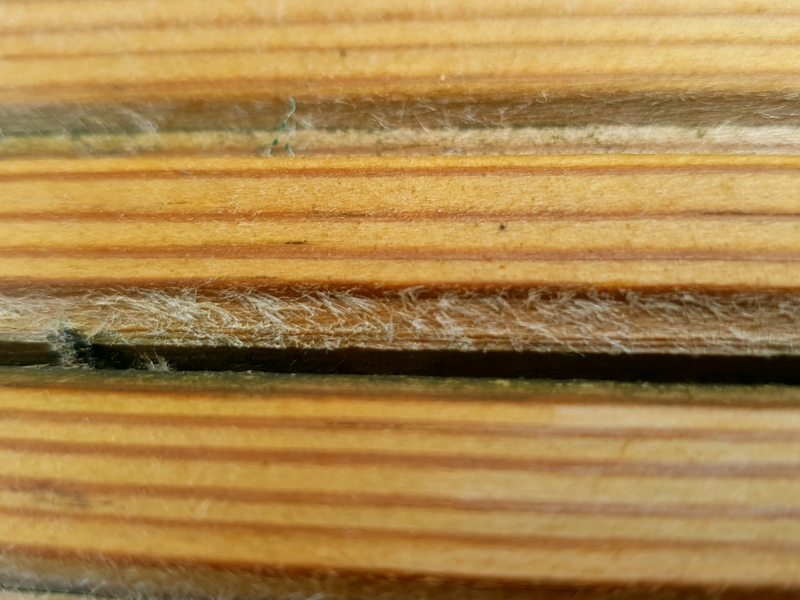 I used a patio and deck cleaner with a nylon brush and noticed the fuzzies the next day. Frustrated, I didn’t know what to do so I’ve waited. Now, two weeks later, I found this conversation with many answers…… My question: Now what should I do? 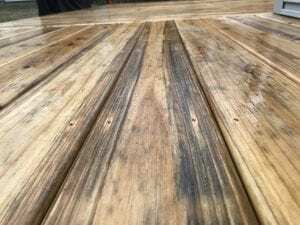 Start over with cleaner, then sand, then brighten, then seal/stain?? All in what time frame??? These are pics after I cleaned AND lightly sanded!!! 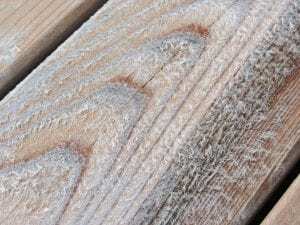 You will need to reclean to remove the first of the oxidized wood fibers. Let dry and then buff sand the wood. Brighten the wood after and rinse well. Is this picture sufficient? Note that it is cedar siding, not a deck. 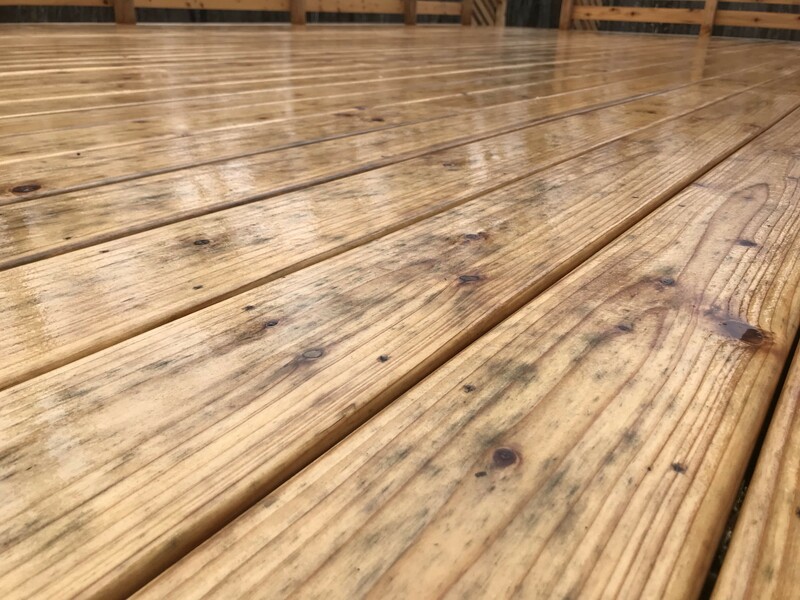 Hey there, I just cleaned and brightened my deck that has never been stained (8 months old treated pine) and I have fuzzies. I was reading your responses and wanted to see if you could clarify a few things for me. A) Can I stain (semi transparent Armstrong Ruatic Brown) immediately after sanding or do I need to brighten again? B) What is the Home Depot near me doesn’t have a buffer but just a normal floor sander? Should I search for a buffer or will it do the trick? C) 60 or 80 grit? D) Will Bud Light, Miller Light or Coors Light help me stain better? -Brighten again for best results. 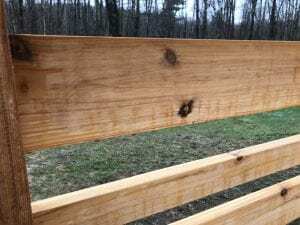 -Buffers are much easier and better for the overall wood. HD has them. Thanks for the reply. If I didn’t do the primer, how soon could I stain after I sand? And I know it won’t be optimum results but will it still be “good” results? Thanks for the tip on beers. You cannot use a primer with stains like the AC. If I didn’t use a brightner how soon could I stain after I sand? Will I still get “good” results if I don’t brighten? You should brighten. Opens the grain after the sanding and the water rinse will remove the sand dust. Only takes 20-30 minutes. Thanks for all your quick replies. I went ahead and sanded and brightened yesterday. The deck looks really good now! It was mid 80’s yesterday and today. It will also be mid 80’s tomorrow with a 40% chance of rain on Sat (Charlotte, NC). It looks like there is dew on the deck in the morning. The deck only gets afternoon sun to dry. 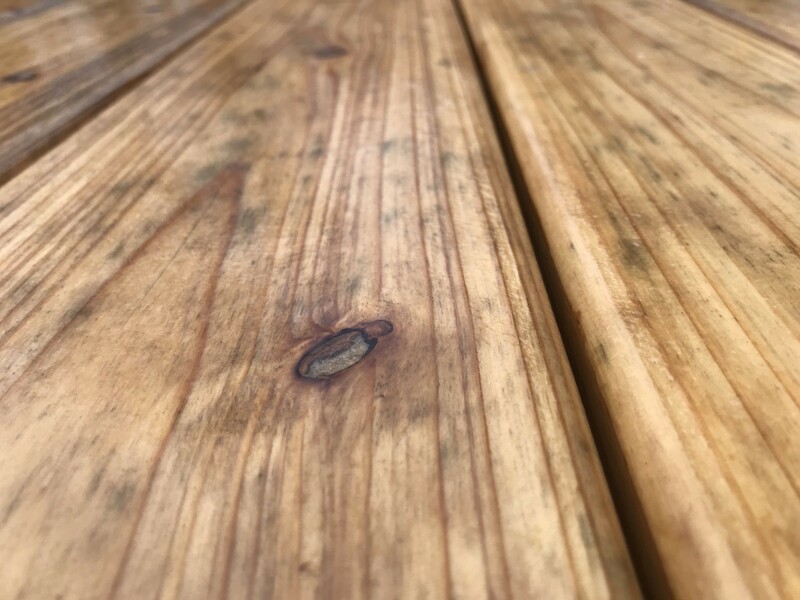 Will it be ok to stain tomorrow around noon with the wood a little damp from the dew? Or should we wait until around 2-3 when the sun hits it? I wanted to give enough time to dry in case it rained on Sat. We are using Armstrong Rustic Brown semi transparent. Pressure washed our wood fence tons of fuzzies. What do I do? The article above does explain this. It’s confusing. After buffing them out do I power wash again or go ahead and stain? The pads are typically red or white in color and go on a floor buffer. Made by 3M or similar. Round about 15″ in diameter. You can find them in the HD rental area. We have a redwood fence that is several years old now, having never had any coating/stain applied. We attempted to do it after the first winter, but were stopped by what I know know is “fuzzies”. Trying again, with some hope of actually getting it done before winter. I’ve tried a number of things. 1. 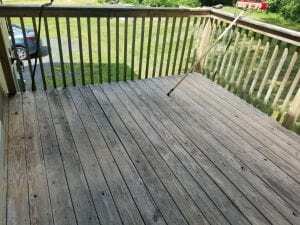 Restore a deck cleaner, with power washing. This gets the grime off, which leaves a thin layer of grayish material. It’s not uniform, so it cannot be just left. Power washing removes this fairly well, but now we have fuzzies. A scotch brite pad while wet removes all this gunk but gunks up the scotch brite quickly. If dry, it works better, giving a buffing action, as you suggest. But, doing a couple hundred feet of fence, board by board, by hand, both sides, is not feasible. 2. Tried the Behr cleaner, chlorine based. Reacts very quickly, making it look very light. However, closer inspection shows that it’s just the same grey coating, and when you rinse the cleaner, the grey starts coming off, leaving the fuzzies behind. Plus, I don’t like the chlorine product. 3. Sanding with 80 grit when dry is obviously a workable solution except that the surface is wavy from the aging of the wood. But, it eliminates the fuzzies. However, I think I’ve found a solution that is comparable to your floor buffing pads for decks. This appears to be a similar, thick-ish scotch brite like product that I can use on my RO Sander, hopefully being much quicker and less aggressive than 80 grit on the wavy surface. (Backup would be the scotch brite on the palm sander that someone has suggested. So, the three steps will be: 1. clean using the deck restore cleaner; 2. use the deck-restore brightener; 3. sand/buff the fuzzies away. What is the correct order of steps 2 and 3? 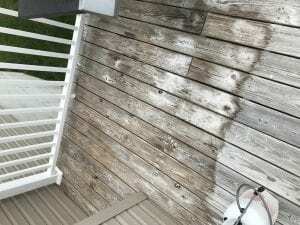 Reading through all of the material here, it’s not clear whether it’s best to let the wood dry after step 1, buff it and then rinse/brighten it, or, if the brightener should be used immediately after the cleaner/powerwash, and then, after drying, do the buffing, followed by another rinse. We have over 200 running feet to do, both sides, so even small time saving and efficiency improvements will add up. Apply the brightener and lightly pressure rinse after. Just finished clening my deck( 8 yrs. old, no finish). Lots of fuzzies. 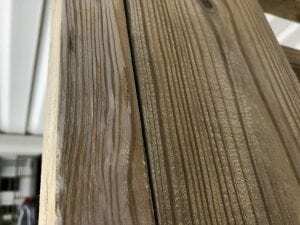 From reading your article, I have to buff the deck with buffing pads, then apply a stain and sealer or stain/sealer combo. Hope this is correct, I still have to do my front steps and porch. 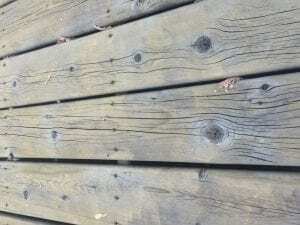 Why couldn’t I bave just stained over the deck without cleaning it,since it never was stained before. You have to prep to remove the oxidation of the wood fibers that the UV created. 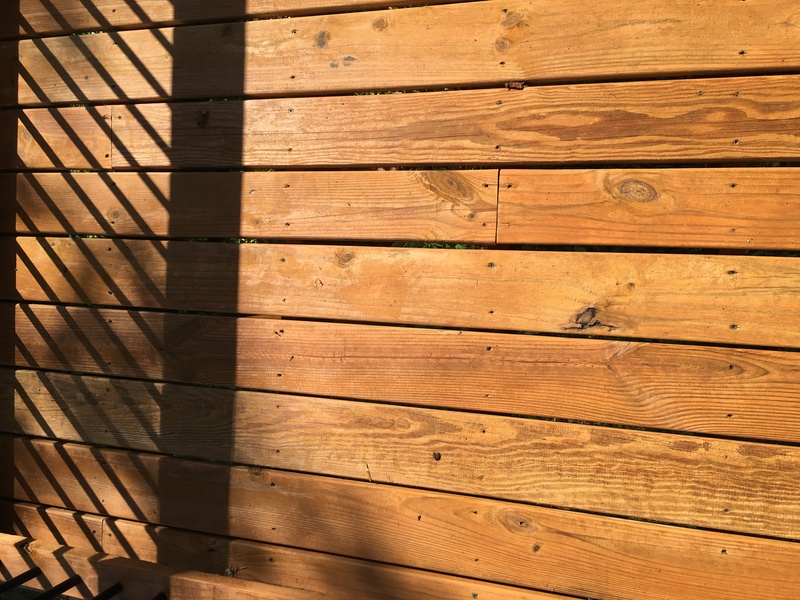 We have a deck with Thompson waterseal semi transparent in a color we don’t like (there when we bought the house, we also reapplied it two years ago because we didn’t know better). Today we used a wood stripper and then a wood brightener. Unfortunately the stain is still there in many places so we are planning to wait for it to dry (3 days or so? Some rain forecast for tomorrow) and then sand to remove it. Does that seem like an okay plan? After sanding, what should we do? I am seeing conflicting advice (option 1: vacuum/sweep, then immediately apply new stain/sealant. Option 2: rinse off, wait for it to dry, apply new stain/sealant. Option 3: apply brightener again then follow option 2. Option 4: ???). Thanks! 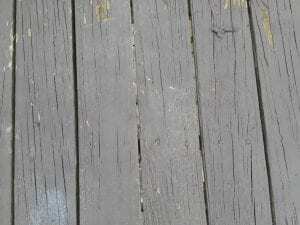 After the sanding, lightly pressure rinse the deck and use a wood brightener. 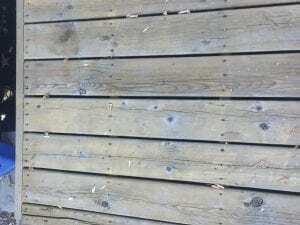 Is it ok to remove fuzzies on my deck with an orbital sander? So I have a fence I want to stain but after cleaning it I have the fuzzies. I cannot use a floor sander and homedepot here in Canada does not seem to have sanding buffing paper. Can you post a link to what you mean so I can maybe order some from somewhere else? Or am I ok with just sanding it with an 80 or 100 grit to get it prepped for staining? Just sand with 60-80 grit paper. I soon after sanding do I have to stain? Can the wood get wet after I sand it then dry again before I stain? Yes. Try to stain within a couple of weeks. 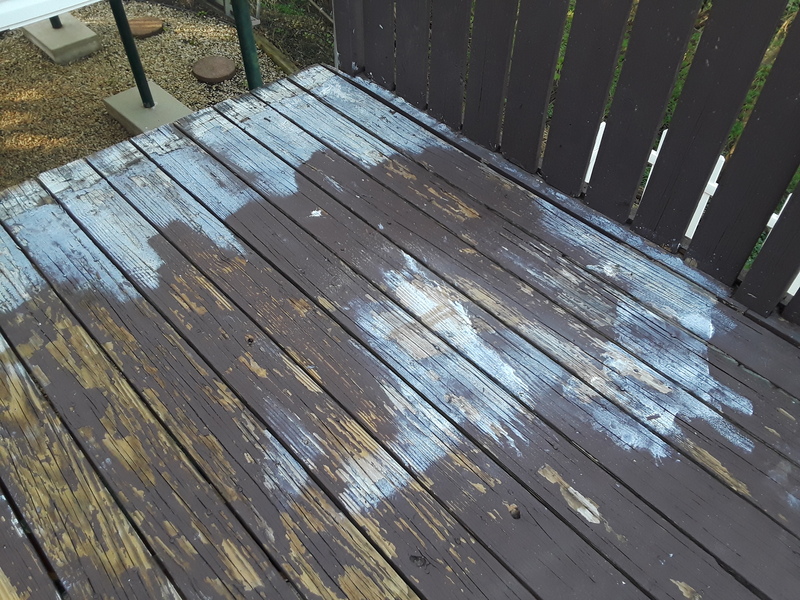 Fuzzies have appeared after taking solid stain off deck and cleaning. Do I sand deck before using Brightener or after sanding off fuzzies? Sand first and then brighten the wood. Thank you. One more question. I was going to restrain with extreme defy but now I am wondering if oil base TWP would be a better choice for the coastal Oregon weather. Only problem is getting 48 hours of dry weather. 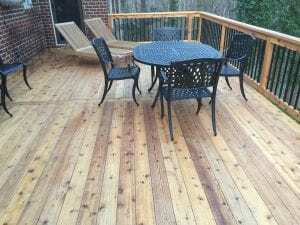 Would you suggest plastic cover over deck for drying or do something else? No, do not use plastic to cover. Needs air to dry. Either brand will work well. 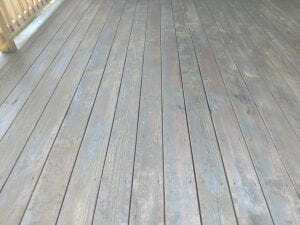 Hello, My deck has never been stained or maintained and is very Dry and grey. Should I lightly power wash it to remove the grey, then sand the fuzzies? 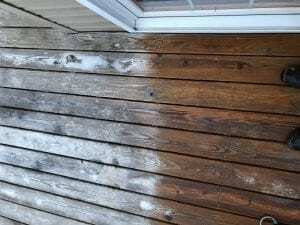 Use a deck cleaner and then pressure wash off. Brightener after. Sand only if needed after the cleaning. (my previous posting attached the wrong picture… here is the correct wet picture) I stripped and brightened my deck yesterday with the restore a deck kit. It worked great and looked really good while wet, but as it began to dry, I can see the furring. I’m attaching some pics of when it was wet, and what it looks like today when dry. Would you recommend using the floor buffer, or will the TWP 1503 dark oak stain be dark enough to hide it? Staining should hide this so it is not noticeable. 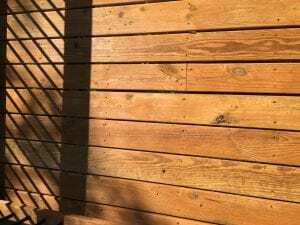 I stained the deck yesterday with twp 1503 dark oak. In some spots, it looks fantastic, but there are other spots where the furring is very visible. I know I can’t do anything about it now, but an wondering about next year. In the spring, should I go through the whole process of cleaning, brightening, buffing and then staining? Or can I get away with just buffing it? Hard to say. Might be best to revisit this in the Spring. After sanding our whole PT deck with #60 my wife used #220 on the railings b/c she wanted them to feel smooth. 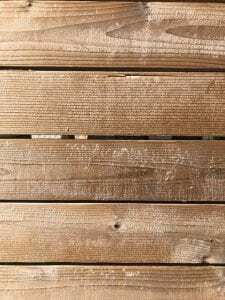 After brightening, will that fine of a grit prevent the stain (Sikkens CETOL SRD Dark Oak) from absorbing deep enough into the wood on the railings to protect them well over the next 2 years? Yes, it could. 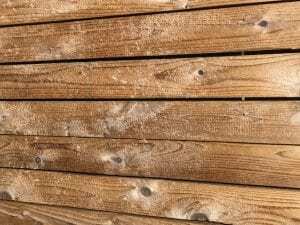 Your deck should not be smooth like a hardwood floor. Not much you can do here but the good news is should not be that noticeabl when stained. Try Armstrong Clark in a semi-solid color. Buff it off to remove some of the raised wood fibers with a sanding pad just before reapplying. Might want to wait 1 year though. It looks pretty good overall! 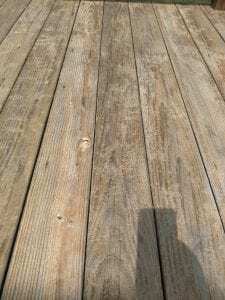 I have an older (15+years) redwood deck. It has deep grooves from previous owners power washing. 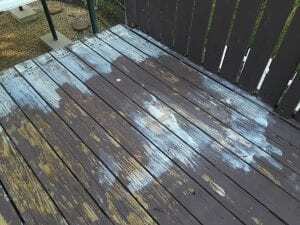 I used Olympic deck cleaner today to help get the fadded and greying Olympic semi trasparent stain off. Some old stain remails and the Fuzzies are back. I purchased a 4 inch belt sander and a handheld smaller palm sander today at Harbor Freightt. Will the belt/palm sander get the job done. Some grey still remains but hoping the sanding will help. Its a large deck thats old but surprisingly sturdy. It should but it will be a lot of work. 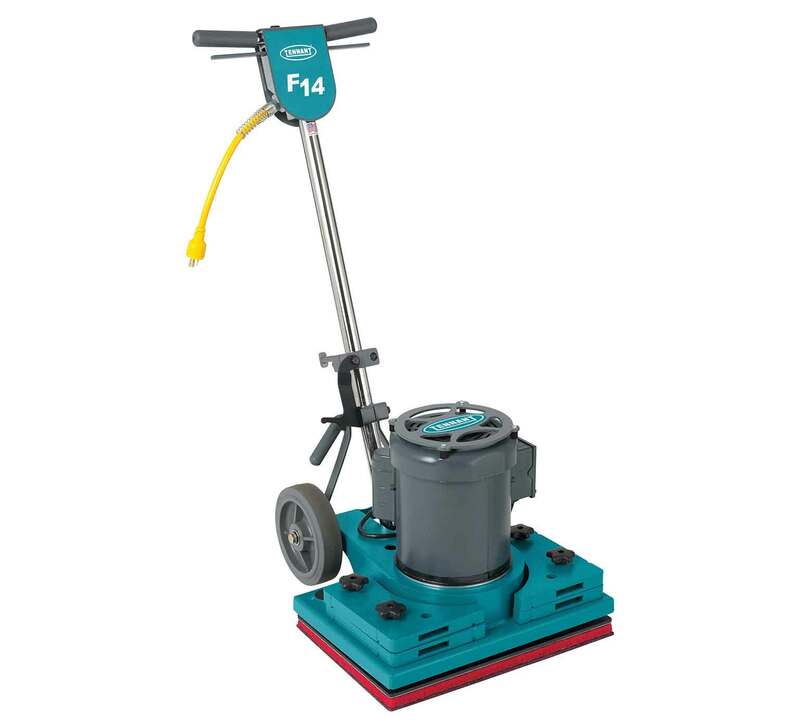 Any thoughts what color 3M pad I should use with a Tennant F14 orbital floor machine (20”x14”) on a cedar deck? I was thinking the 3M SPP. I noticed in a previous pat you said white pads in a rotary buffer. The white and maroon SPP are very different. How do I tell if the SPP is too aggressive? They typically have a grit rating to them. 80 grit is normal. What is the best way to get fuzzies on floor under the railing where buffer can’t reach? Hand sand or palm sander. What color pad on the buffer? This is what I’m working with. I cleaned it using defy deck cleaner and now I have to use the brightener but it’s all fuzzy. I have a 12×16 foot deck. The paint needs to come off. I tried Behr stripper and this is what happened! Please give me some advice on what to do next! I need to get this paint off! You have to power sand to remove paint from a deck. Strippers will not work. Any way to remove furries after staining? I used Armstrong Clark natural tone after cleaner and brightener with pressure washer. I used an 80 grit sander to remove 90% of furries but more showed up after stain. I need to do a light clean and light coat of stain anyway to even out the blotchiness. You would have to strip/brighten and then buff the floor to remove the fuzzies. 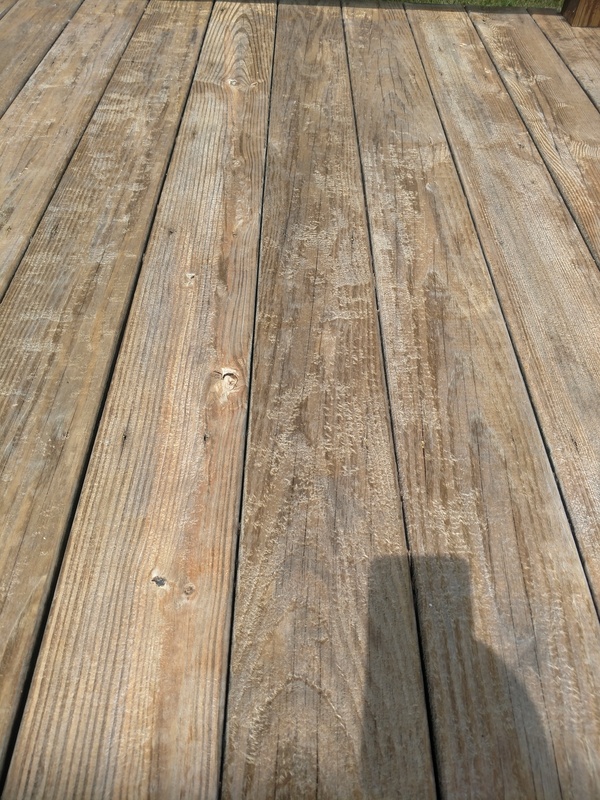 I cleaned my deck with Olympia Deck Cleaner and pressure washer… I have some fuzzies and a few lighter spots on the boards. The deck is a year old, never been treated, and I would prefer to just seal. Being that I have the fuzzies, will sealing it still show the fuzzies? Or do I need to stain in order for the fuzzies not to show? Is sanding/buffering the only way to remove them? I don’t have the option of using a hand sander or buffer, what grit of sand paper should I use when sanding by hand? Thank you in advance! Clear sealers will show the fuzzies. Stain will help to hide them. Clear sealers also will not provide UV protection from graying. Try 60-80 grit paper. what happens if you put a water sealer over the furring? Am I going to have to sand and reapply the sealer? It will show through. Best to lightly sand and then seal. If I have to sand my wood fuzzies, how long should I wait to apply stain? Thanks. You can apply stain directly after sanding or do you need to use brighter again? 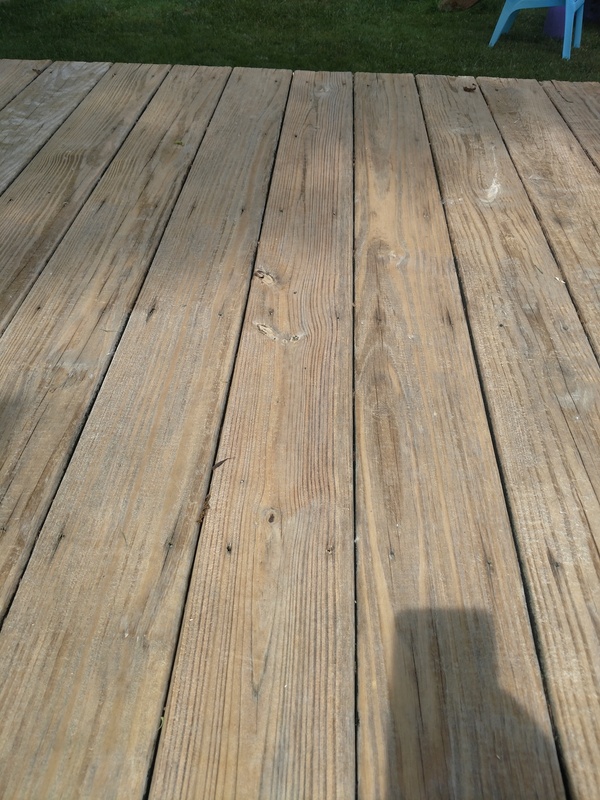 What stain would be best for PTP deck that has not been stained or sealed and 14 months old. After Cleaning and brightening there is some fuzzy/furring. Thanks for info! If you buff it lightly for sanding you can do same day. If you power sand with 80 grit, you should brighten the wood and rinse well. It really comes down to how smooth you sand the wood. Too smooth and you should use a brightener to help open the wood grain so the stain can soak in deeper. Try TWP Stains or Armstrong Clark Stains. Which TWP series would you recommend. Live in North Carolina, plenty of rain, some snow, summer humidity. Have had mold/mildew problems. House siding is beveled cedar with cedar tone CWF stain. Do not want to use this on deck and wish had not used on siding. Like everyone would like something that holds up and do not have to maintain yearly. Also, do you know who does the fastest shipping for Armstrong Clark stain? Also, what are the lowest temp conditions allowed for TWP and AC? Thank you for info! TWP 100 Series. No idea as to how does the fastest shipping. Lowest temp is typically about 50. 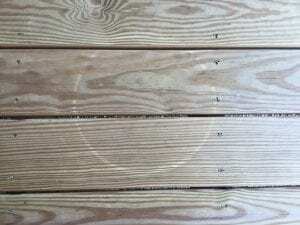 Thanks for immediate response, so beneficial especially since I’m in a time crunch to get deck stained. Can we just stain over fuzzies? Their not all over the deck just in spots. 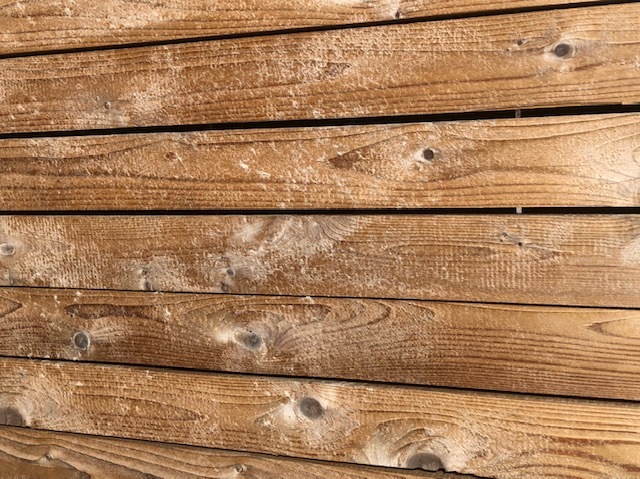 What color TWP would you recommended to go with cedar tone on cedar siding? Lookin for semi-transparent. If the fuzzies do not show when wet with water then they typically do not show when stained. We like TWP 120 Pecan color. Not as orange as the Cedartone. Any ideas on how to sand the inside portions of the 150+ 2×2’s that make up the railing? Or do I worry about that? Thanks! Just leave it alone and stain. 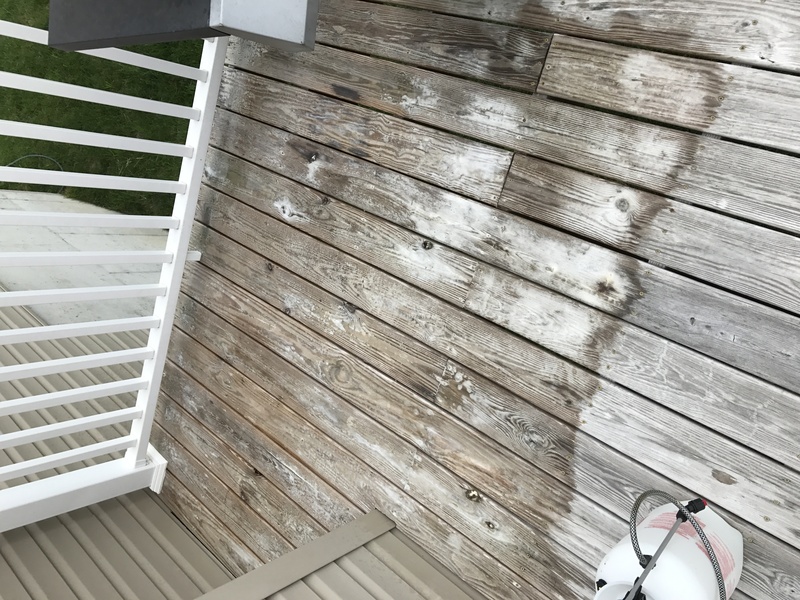 Hi, just moved into a house and the deck seemed to have just lost its ability to repel water recently so I decided to stain it, after pressure washing it and removing tons of black I found the wood to be in pretty good shape underneath but as it dried I see little gray patches, especially around knots. Is this just because it’s not fully clean, or what are these things? They show up through the stain on the part I tested so I want to get rid of it before I begin. That is normal around knots due to the density of the wood there. Knots can be lighter in color when stained. It is not an issue. 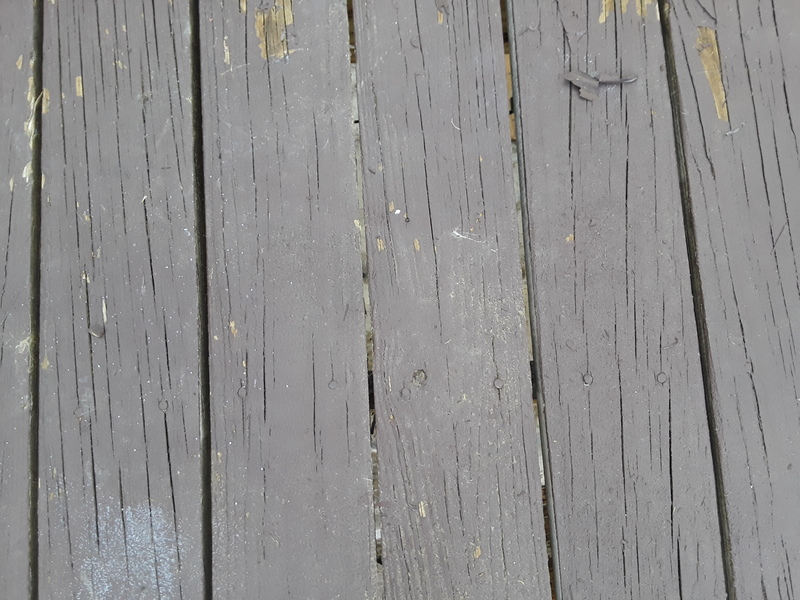 Hi, purchased a home recently and found that the deck was covered with layers of black. I applied biokleen and power washed, I used krud kutter and washed, I used Defy Cleaner, power washed, Defy Brighener, rinsed and defy Brightener and rinsed again. The result is attached. I’ve noticed fuzzies too. At this point I’ve given up. I have Defy stain ready to go. Can I get away with applying stain now and go back to this after next winter. Or what can I do right now to fix it? The black will show through the stain. Maybe try some watered down bleach at one part bleach to 3 parts water. Apply and rinse well afet 20 minutes. See if that helps with the black. Strip off or sand off the new coating then sand/buff the floor when it dries. Thank you. So this is a dumb question, but do I rent the same machine to sand and to buff? Yes. It is a floor buffer and sanding pads. The rental yard will know what you mean. If we have to sand the fuzzies…I thought sanding closed the wood pores and does not allow stain to penetrate? What would be do to open the wood pores again? 1. 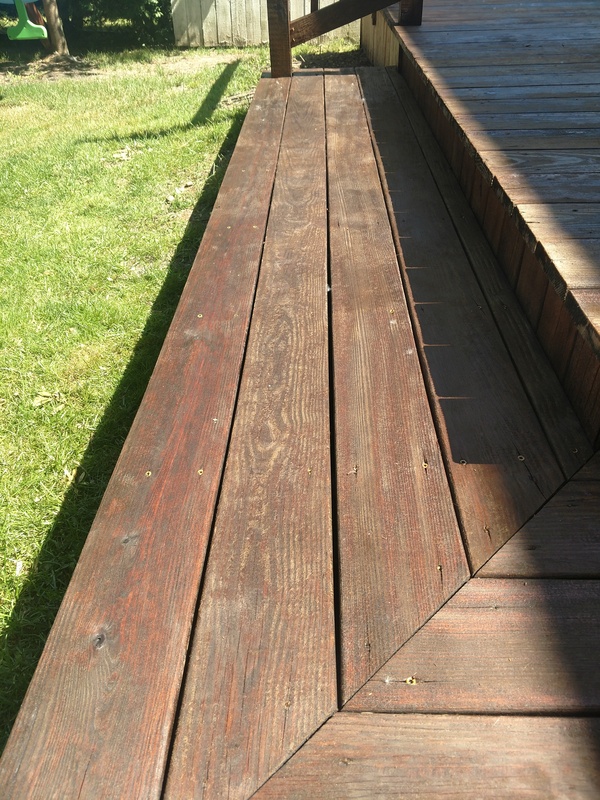 This is the result of the heavy oxidation of the wood sitting unstained for 14 months. It is not from the cleaner or pressure washing. 2. Probably can just leave. 3. Do not spot sand. Sand all or not at all. 4. Yes, you can sand and then brighten again to open the wood pores. 5. You cannot avoid this from happening if the wood is heavily oxidized. 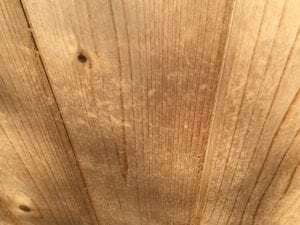 We just used Defy Wood Cleaner and Brightener on our cedar front porch (wood is 14 months old and has never been stained). 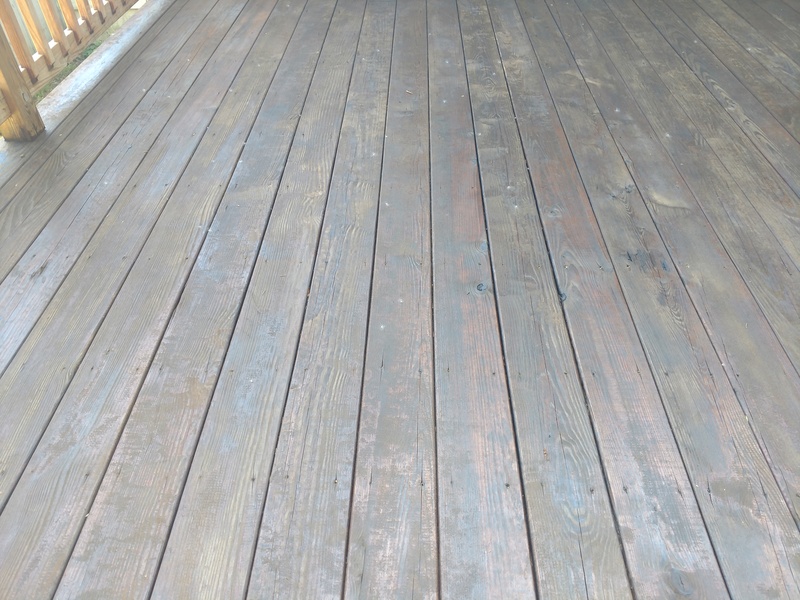 We wet the wood, applied Defy Cleaner for 15-20 minutes and used brush to rub off the grey gunk. We then immediately applied the Defy Brightener for 5-10 min when the wood was still wet. Last we lightly pressure washed off the brightener. As it is drying, we notice some fuzzy areas but they are sporadic. 1) What caused the fuzzies? Do the fuzzies come from pressure washing too hard or from the cleaner? 2) Since there are not very many fuzzies, should we just leave them or will the stain take uneven? 3) I see you recommend the floor buffer with 3M pads, but if we only have a few areas then should we just use a palm sander (60-80 grit)? 4) If you do say that we need to sand…then, what are the steps in the process since we already did the cleaner then brightener? I see it is often said to sand and then use brightener but would that be ok if we already used a brightener on it? 5) We still have to clean and brighten our backyard cedar deck so I want to be sure we do everything possible to avoid fuzzies coming on it. It is about 12 months old, never stained. O.K. hopefully one last question but probably not. LOl Why not use Thompons. You said “It will peel. Prep and buff the floor to remove the fuzzies as suggested” Is it because its old wood or because some of the remaining stubborn fuzzies ?? O.K. things r starting to look up with lots of great advice plus some reading I’ve done on this site!!! Pressure washer instead of the garden hose has reduced fuzzies substantially!! My neighbors showed me how to use it without damaging the wood. Now having said that if I rent a floor buffer which are usually round right?? Well, do I go with the grain or in a circular motion like I’ve seen??? Also, am I ever glad I didn’t use the Thompsons to stain and protect my deck!!! All that work and money… however I am worried that there may be places that may look clean to the eye but are not and staining it will cause peeling so what other option do I have??? 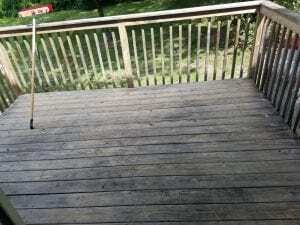 I started cleaning with Thompsons deck cleaner and brightener which worked ok in some places but the scrubbing required discouraged me and it didnt’t remove the mold or algae (green). 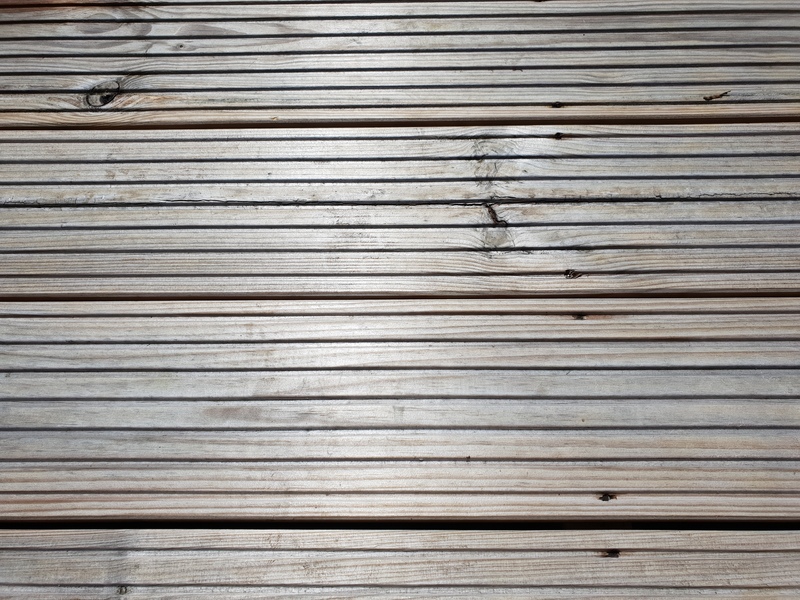 Home Hardware suggested Activox which works better on the tougher black weathered boards. It says I don’t need to use anything after that before staining???? 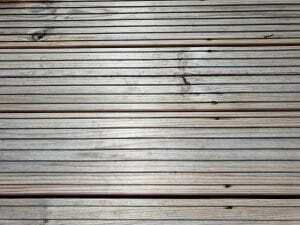 Should I go over the deck with a cleaner after the activox?? This is a Canadian product exclusive to home hardware. Never used it or heard of it so not sure. I was going to go with a light honey color. What would look better a lighter or darker stain for these problem areas. Also a friend is going to show me how to use his belt sander he said that should do the trick. Does this sound right??? Floor buffer is better for the flooring than the belt sander. Darker colors wil hide better. One site went as far as saying these “fuzzies” would disappear on their own in a few weeks. I would be ok w that. Is there any truth at all?? They do not just dissapaer but when you stain, they do not show much or at all. Major wood fuzzies!!! I’ve done some sanding with my brother’s hand held but still fuzzy looking in the groves but the surface is smooth to the touch. What will it look like after using Thompsons tinited wood protector, semi transparent???? Just stripped and brightened my cedar deck, and have quite a bit of fuzzies from all the abuse the deck took. The wood itself is fine and not damaged. I am considering the floor buffer technique, but my concern is my deck surrounds a large pool, and I am not proficient in floor buffer usage and am worried about the buffer getting away from me and something bad happening, like it falling into the pool. Would a 10 inch orbital buffer/polisher get the job done? I don’t mind the extra time it would take. Thanks. It should work for this. Awesome, what grit sandpaper or attachment do you think would work best? I’m ready to brighten and buff the main part of my deck. There is heavy rainfall expected the next few days. Can I spray the brightener before the storms and let the rain rinse it off? Does the wood need to be completely dry to buff? These forums are wonderful resources for us weekend warriors. Thank you! Rain will not rinse off brightener after the brightener dries. The wood does need to be completely dry to buff. At my local rental they have floor sanders (rectangular oscillating sanders) that uses the pads. They also have the floor buffers that are round base and buff in fast circular pattern. In the below posts are you guys using the round floor buffers or rectangular floor sanders? I rented a floor buffer to take care of furring on my cedar Deck. The white and red pads were pretty useless. I went to the coarsest (black) pads. They worked pretty well but it did take a while. I ran it for about three hours on a 700 square foot deck. Also the idea one poster had about the 3.8″ x 6″ scotch brite pads in a palm sander works great for the tight spots. If you don’t have a huge deck you can defurr pretty quick with the scotch brite pads in a palm sander, I would skip the floor buffer for a smaller deck. Hello. Thanks for all the great advice. I have some fuzzies after stripping and power washing. I still have to use cleaner/brightener. Should I use brightener, then use buffer or visa versa or does the order not really matter as long as both are done? i’m confused about what machine and pads to use to remove the fuzzies. My local rental place says go with a sander, not just a buffer. Is there a difference that matters in this case. Also, you suggest using 80 grit pads and white pads. Are the white pads the finest of the plastic buffing pads; and are the 80grit pads just the thin “sand Paper” disks? Any preference and will both work on mildly uneven deck boards? Use a floor buffer and the sandingp ads by 3M or similar. They are not thin but about an inch thick. No sure what the grit is for the pad, but they work well to remove the white fuzzies. Try a deck broom, if they are barely attached, my wife and I knocked out 600 sqft in 15 minutes, using a deck broom a bought to scrub out restaurant floor. Worked great and got between boards too. Please help! 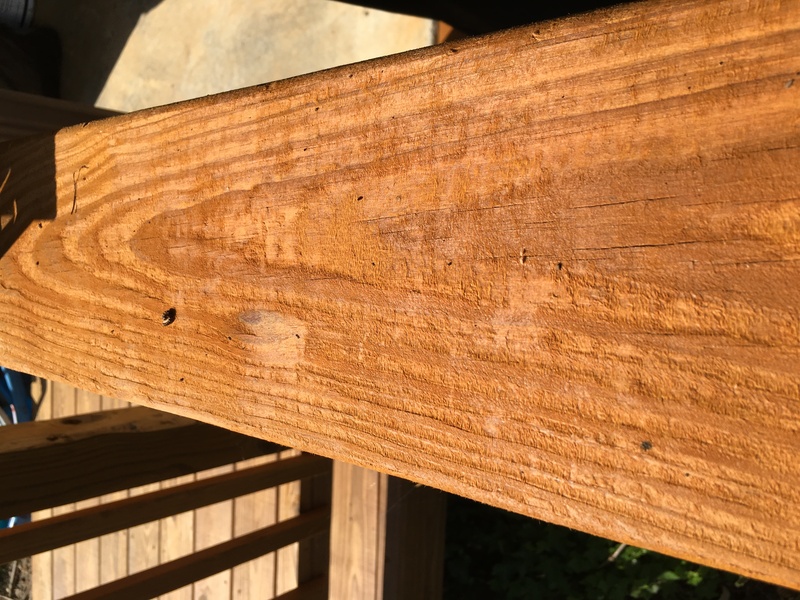 We stained our cedar deck after cleaning and brightening, and after the stain was dry, we noticed fuzzies and some of the tops of the railing don't look very good, not at all what they looked like when the stain went on. How long do I need to wait before buffing out since the stain is fresh? We used Armstrong Clark natural transparent. Thanks! You cannot buff the fuzzies when it is stained. You can strip and brighten then buff. Othe option is to applying another llight coat of the stain. It may darken the fuzzies so it all looks richer and blends better. Try a test spot to see. This would be much easier to do.